The VS250 Variable Speed Incisor is our fastest and largest capacity incising machine. With a maximum cross section of 250mm square and a 4.0m post length, the VS250 is big enough to cope with the large and flexible enough to cope with small posts too. 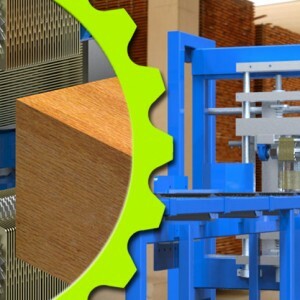 Our unique shaft support system is designed to reduce the potential for deflection and component overload to give a reliable and consistent result for busy timber processors. Responsive manufacturer support is essential. With a fleet of experienced and professional engineers covering the whole of the mainland UK, you can rest assured our 24hr response for breakdowns will keep downtime to a minimum should a problem occur.